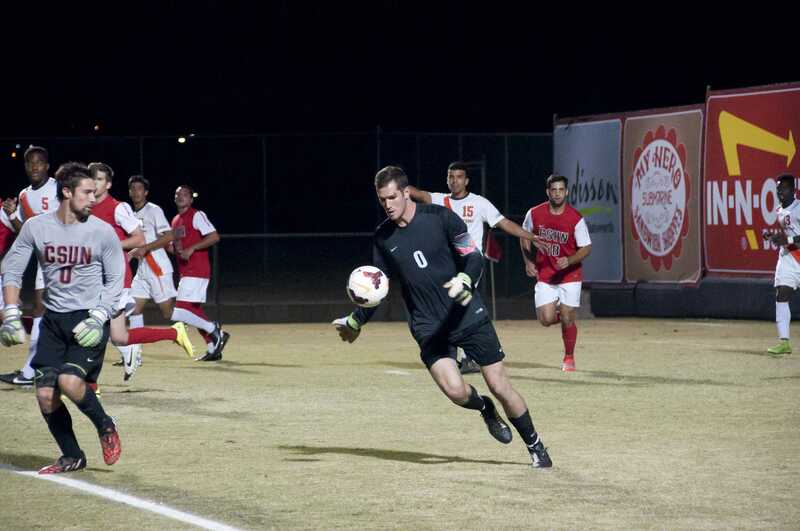 For a second straight week, men’s soccer has had a player named Big West Defensive Player of the Week after senior goalkeeper Adam Hobbs kept a clean sheet in a 1-0 victory against the University of San Diego Toreros. Against the Toreros, Hobbs had six saves, which tied his season-high for saves in one game. Hobbs’ performance was not out of the norm either, as he is second in the Big West in saves with 30. The sustained stinginess by Hobbs and the rest of the Matadors’ defense has been apparent in the last four games, and 512 minutes overall. For his career, Hobbs also ranks in the top five in shutouts and saves. Following another undefeated weekend, the Matadors start conference play at home at 7 p.m. against the Cal Poly Mustangs.